As the dog days of summer drag on, nothing beats the heat quite like a tasty frozen treat. Fortunately, fresh fruit sorbets are incredibly easy to make and much better on your waistline than ice cream. So delicious and so easy to make! Since all fruit sorbet recipes follow the same basic pattern (1. make simple syrup, 2. add fruit, 3. blend and chill), you can get creative with whatever fruit is in season in your area. For this recipe, I used a a pint of delicious organic blackberries fresh from the Bend Farmer’s Market — the hardest part of this recipe was not eating all the juicy berries before the syrup was ready! Make a simple syrup by bringing the sugar and water to a boil, stirring constantly until sugar is dissolved. Remove the simple syrup from the heat and pour in a large mixing bowl. 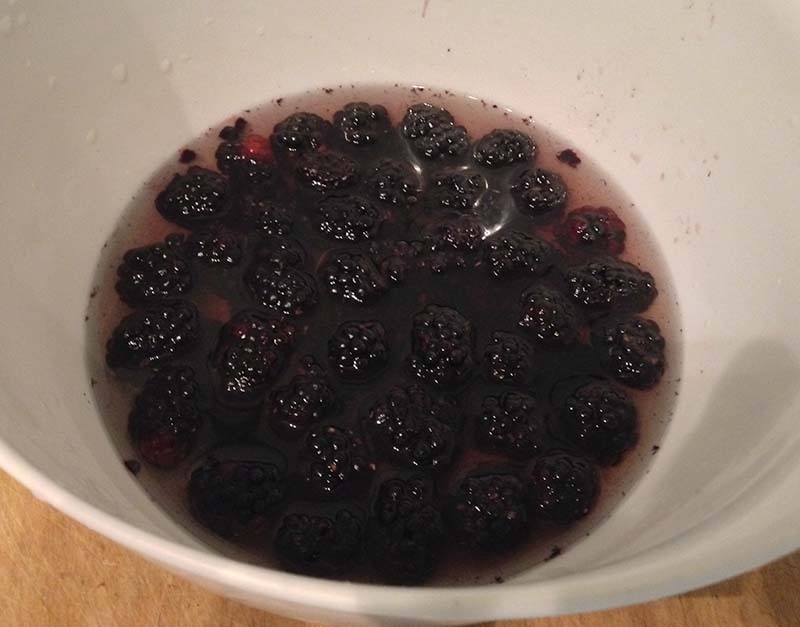 Rinse the blackberries and add to the mixing bowl. Let the blackberries steep in the hot simple syrup for about 10 minutes. 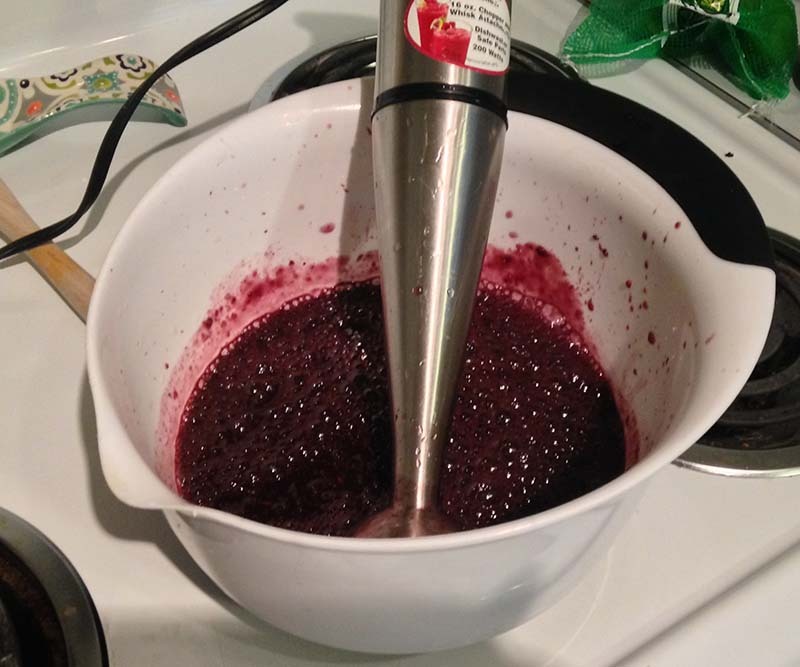 Using a hand mixer, blend the berries and simple syrup into a puree. Squeeze the juice of the half lemon and stir into the mix. Cover the bowl and refrigerate the mixture for at least one hour. Start up your ice cream maker (I used a Conair Cuisinart 1.5-quart ice cream maker, which is the perfect size for this recipe). Pour the blended mixture into the ice cream maker. 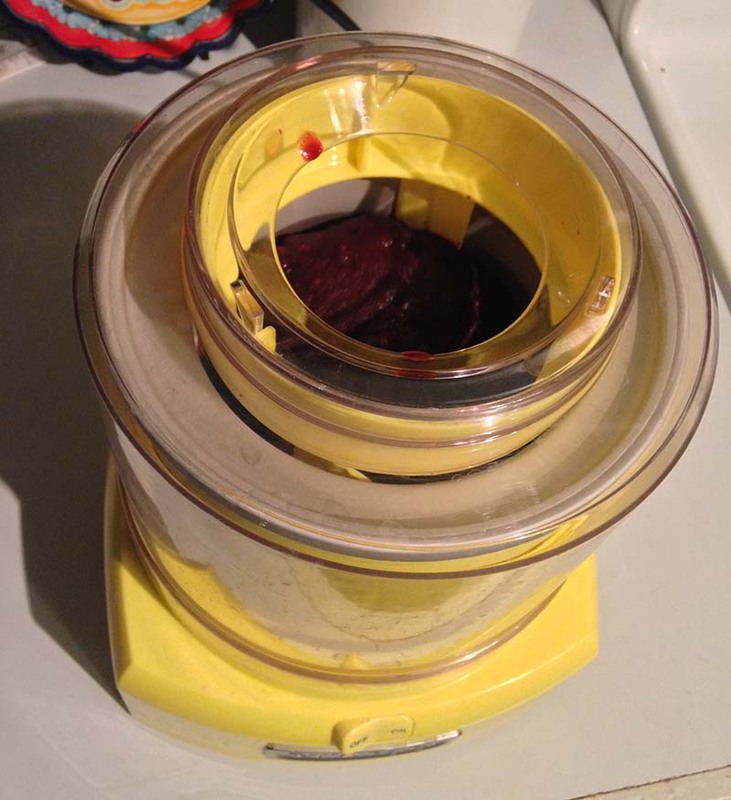 After 10-15 minutes of churning, the sorbet should be ready to go; check the consistency as the sorbet solidifies to get the perfect texture. 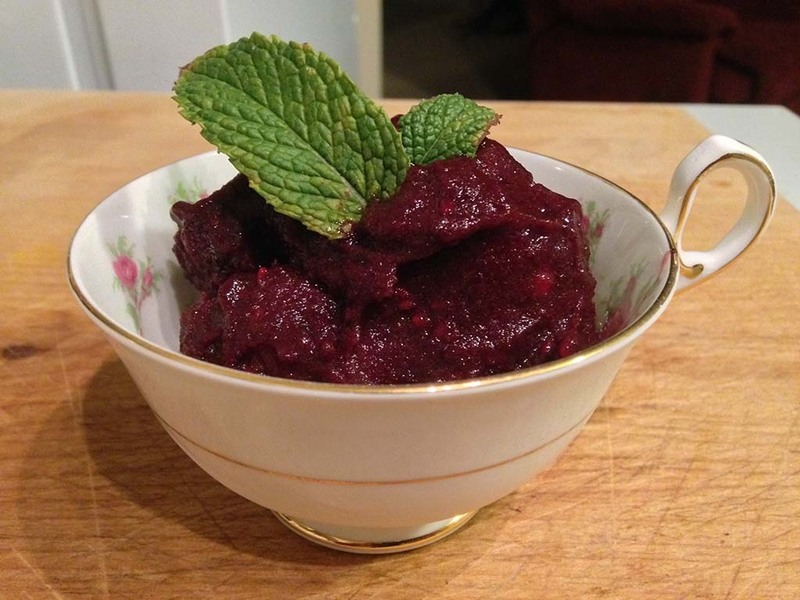 Scoop out the sorbet and serve, or store in a freezer-safe container for up to 2 weeks. Central Oregon Brides if you book your Wedding Wellness Package by June 20th 2014 AND you like our facebook.com page you will receive a full 20% off of your package. 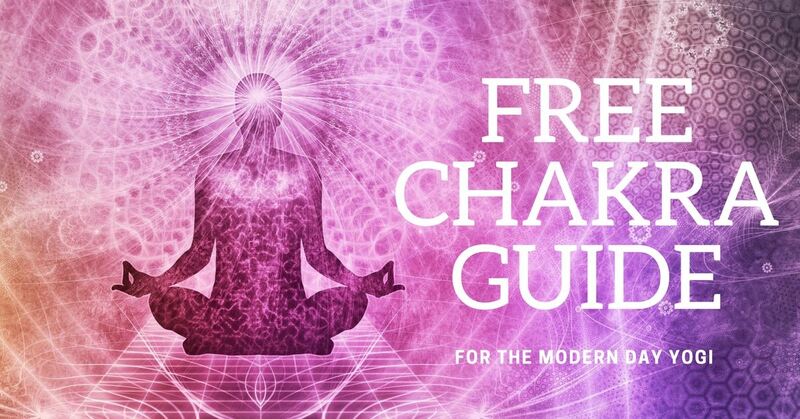 Our individually tailored Wedding Wellness Packages are designed to harmonize body, mind, and spirit through yoga, pranayama and meditation; they are a great way to connect with your bridal party and a great way to bring peace and balance to your wedding day. Ambuja Yoga will travel to your venue or hotel for your yoga session or rent out space at a local yoga studio. You won’t have to worry about music or props.